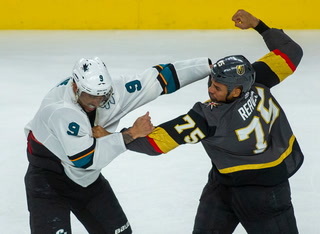 The tale of the tape made it seem like a mismatch. 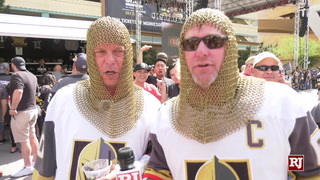 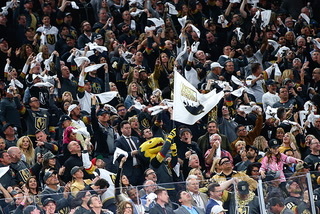 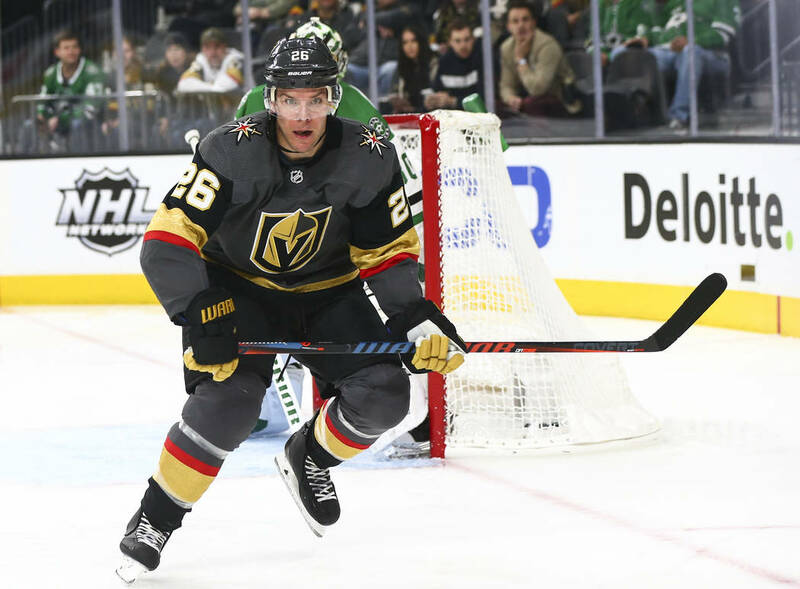 In one corner was the 5-foot-9-inch, 174-pound Jonathan Marchessault, the smallest player on the Golden Knights. 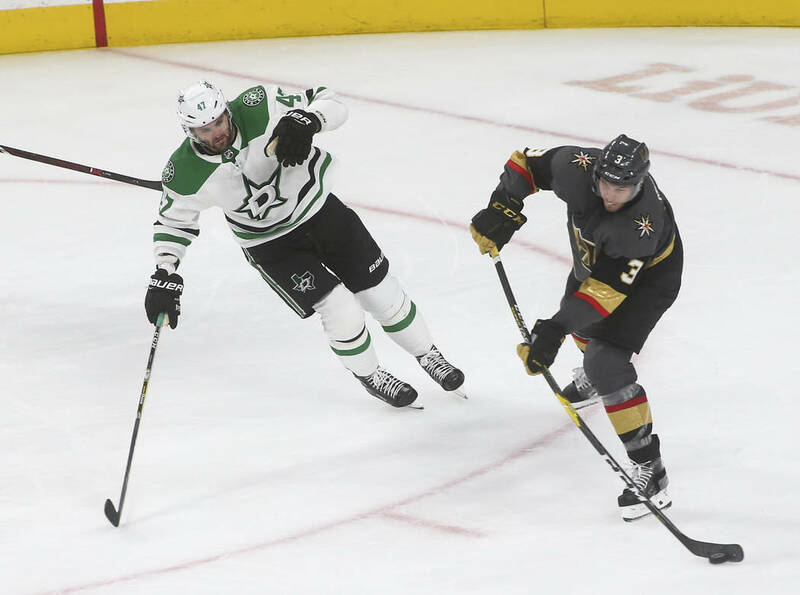 Across the way was Dallas’ Radek Faksa, who checks in at a stout 6-3, 220. 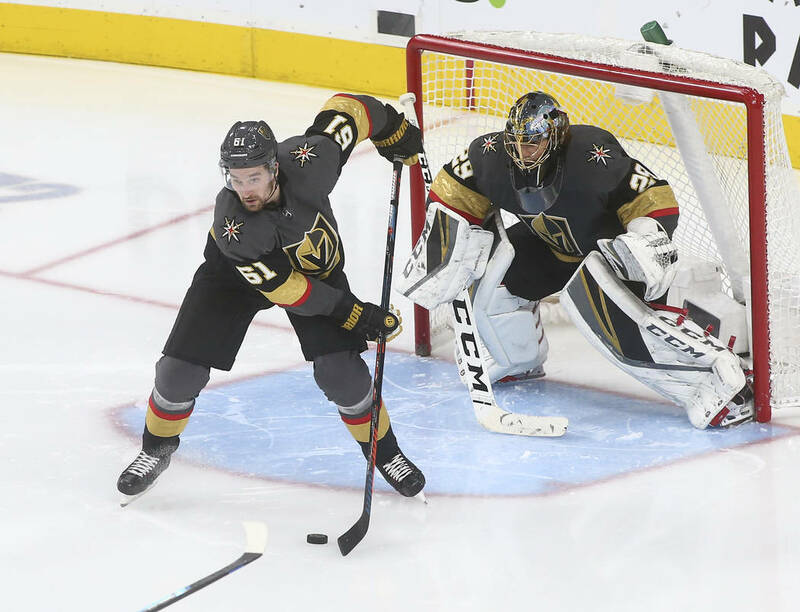 But that didn’t matter to Marchessault, not with his goaltender in need of protection. 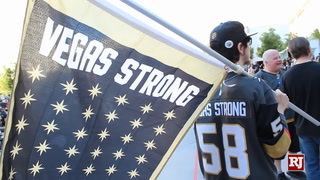 “He’s a little guy who’s got a lot of fire in him,” Knights netminder Marc-Andre Fleury said. 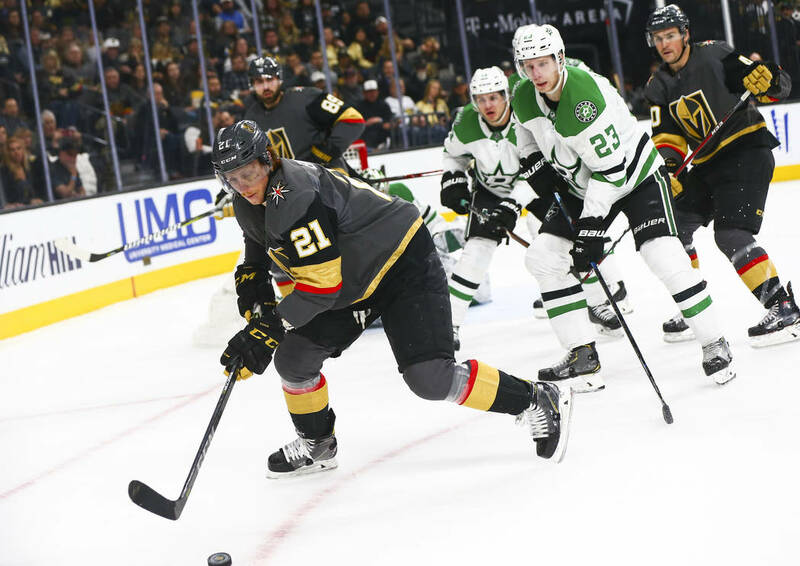 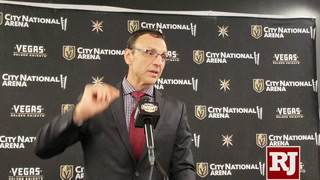 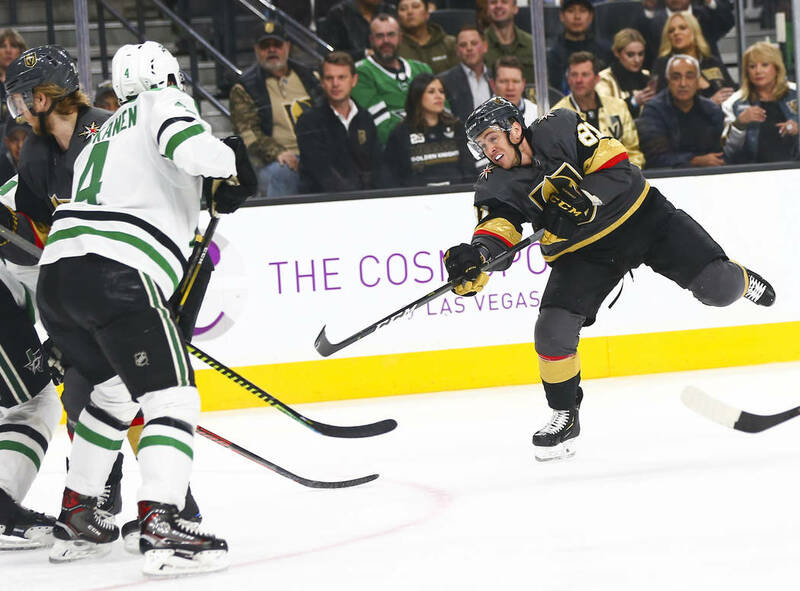 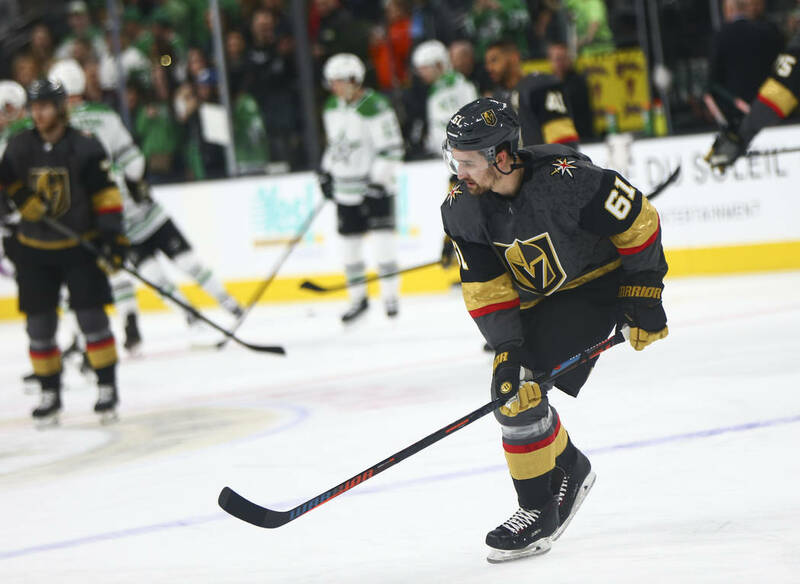 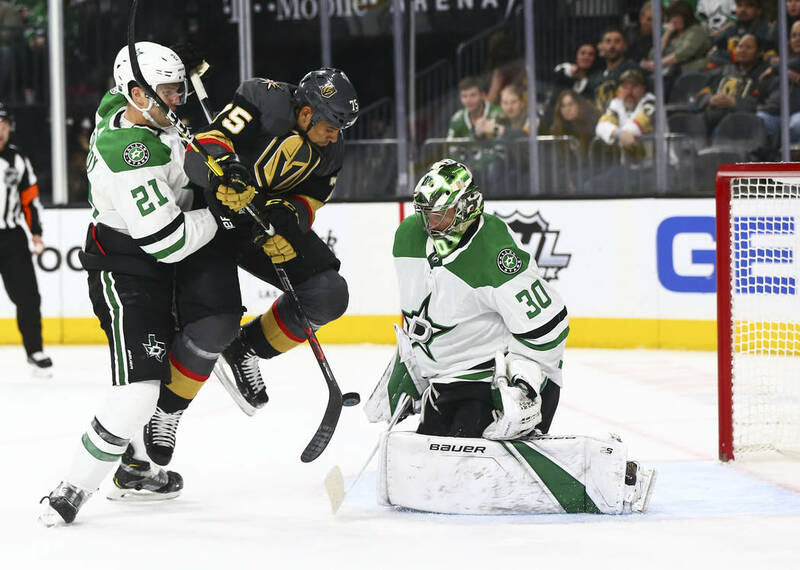 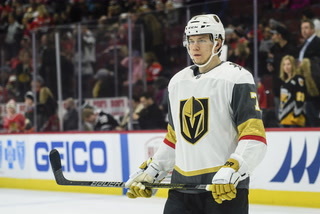 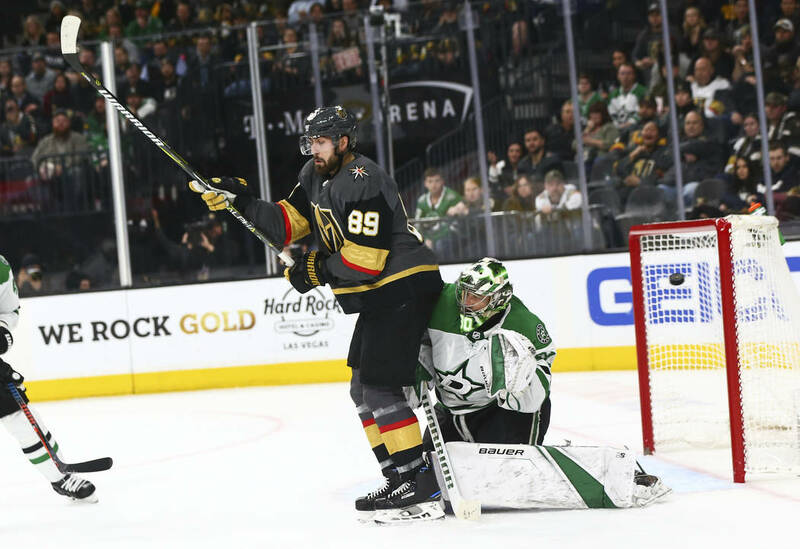 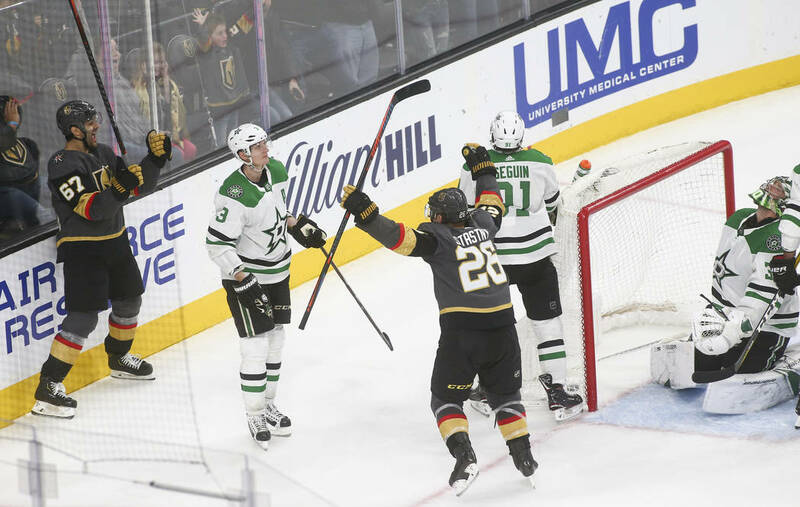 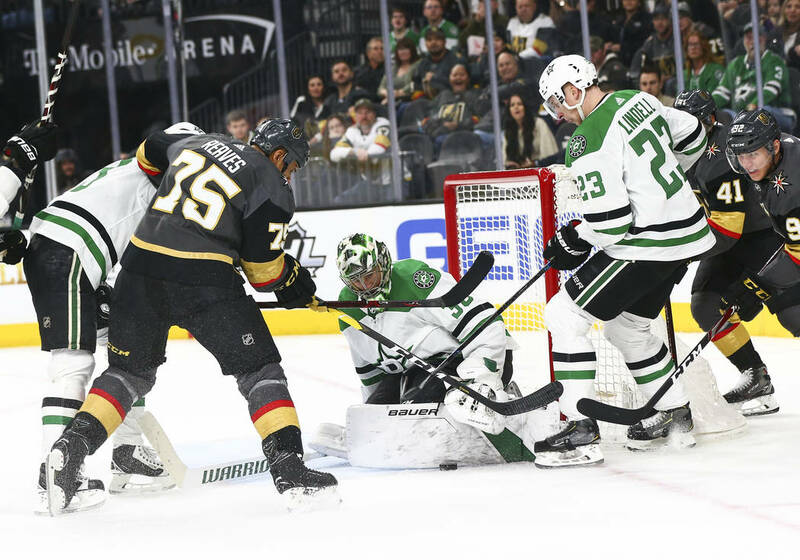 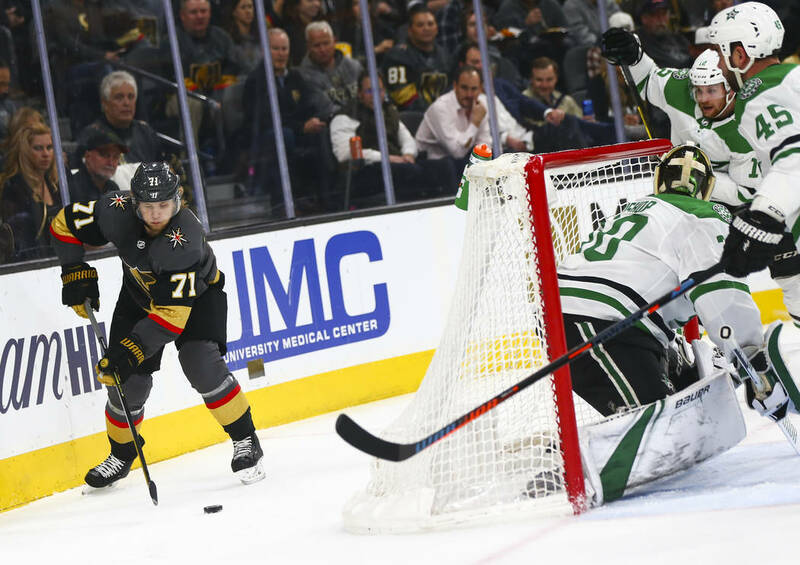 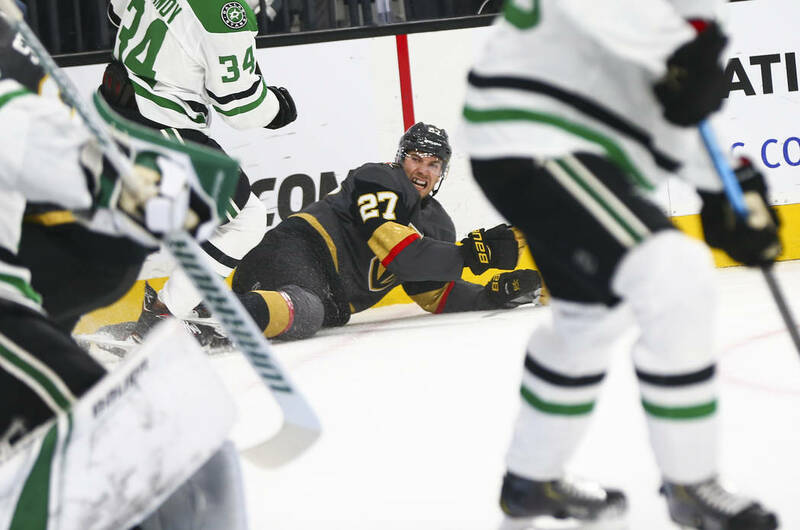 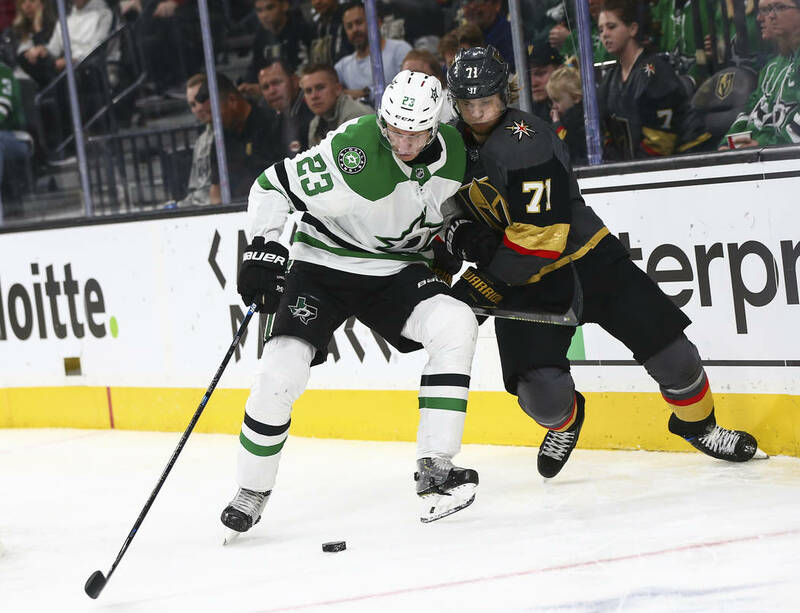 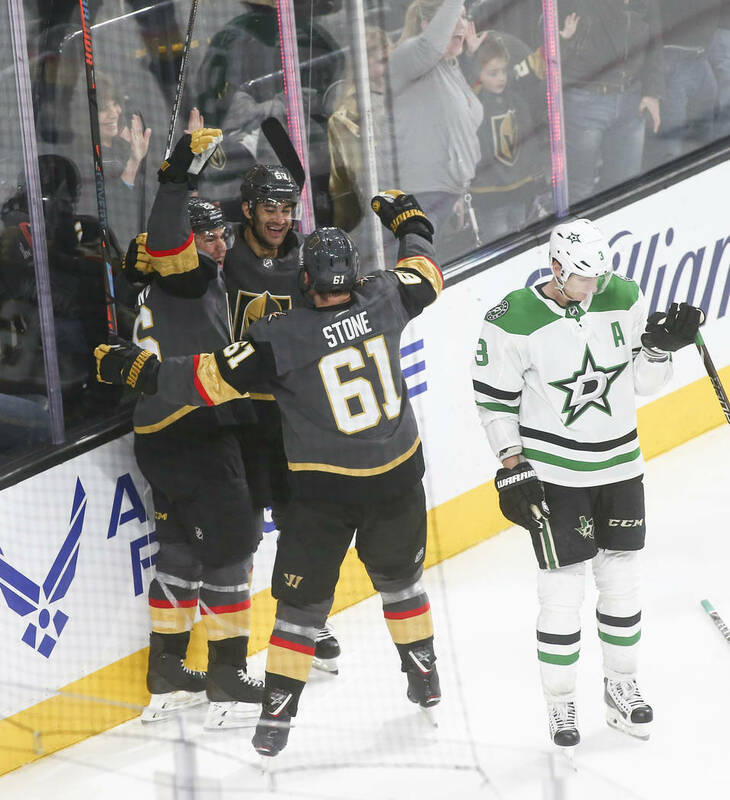 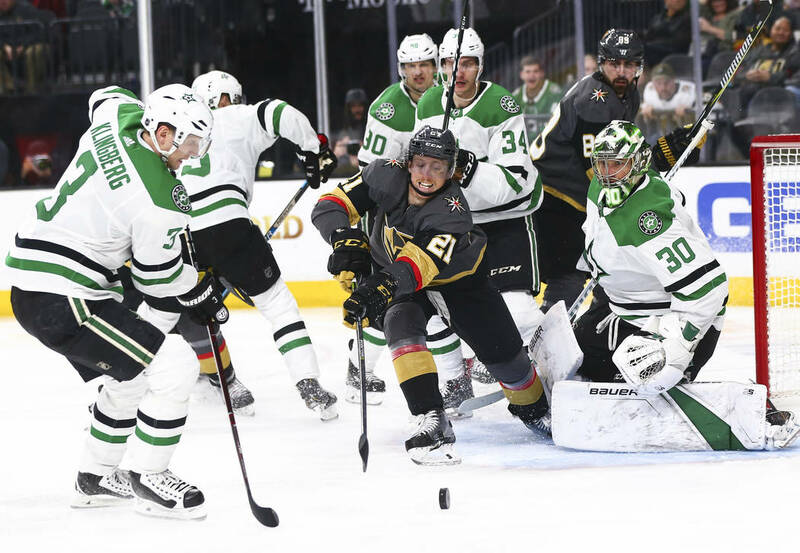 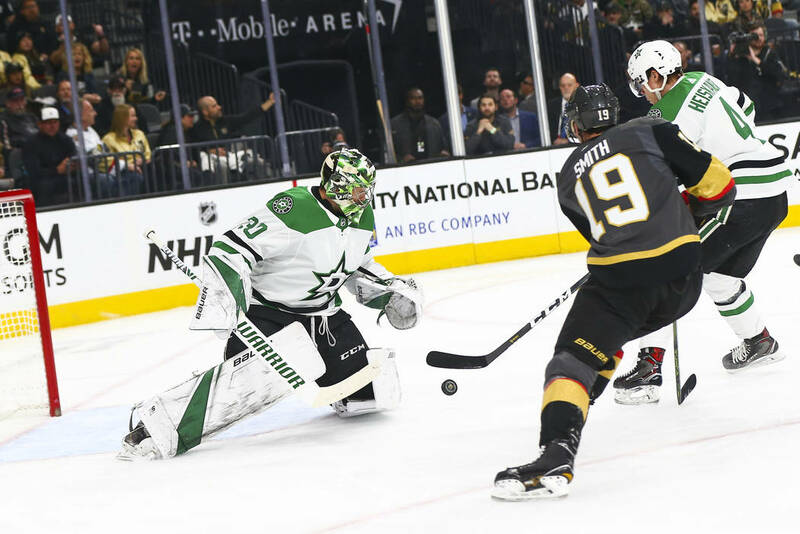 Marchessault’s Greco-Roman takedown of Faksa midway through the first period set the tone for a physical night and helped spark the Knights to a 4-1 victory over the Stars at T-Mobile Arena. 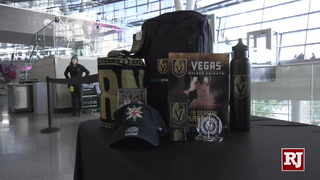 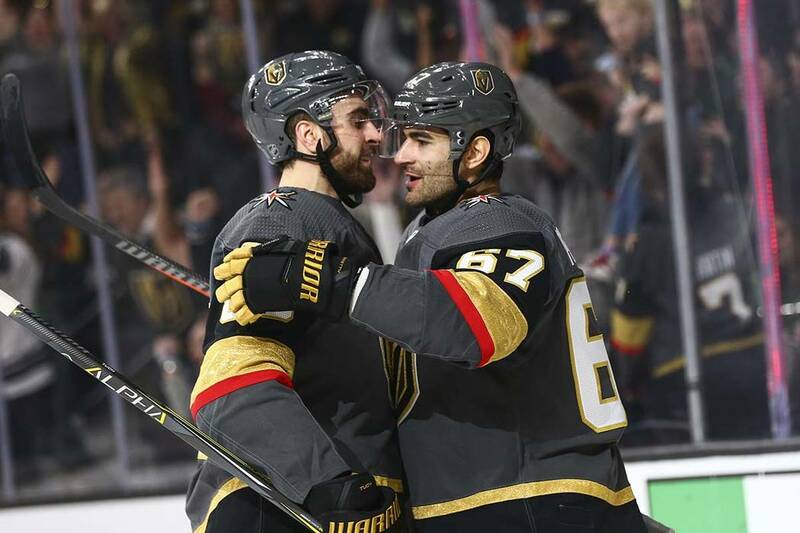 Max Pacioretty scored two goals, including his 20th with 5:08 remaining in the third period, to put the Knights ahead. 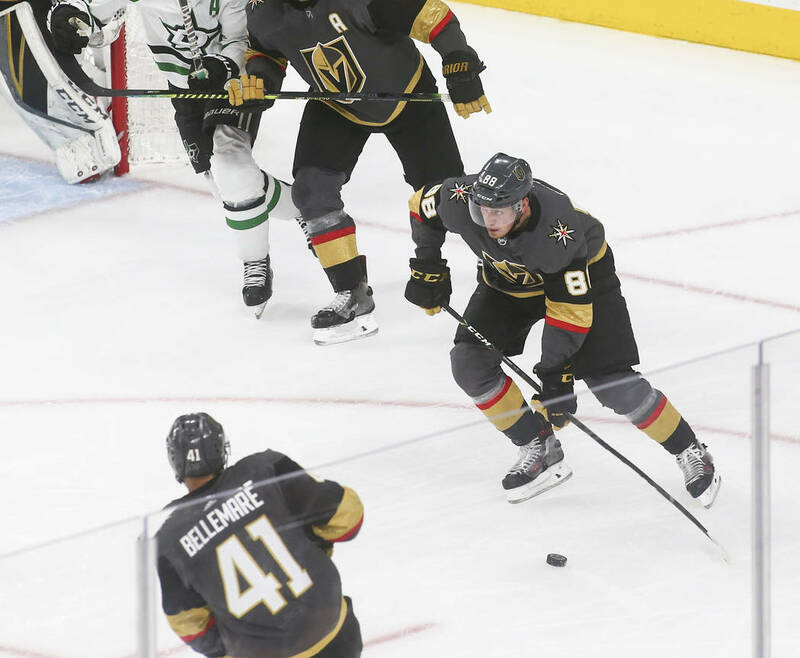 Defensemen Nate Schmidt and Brayden McNabb added empty-net goals. 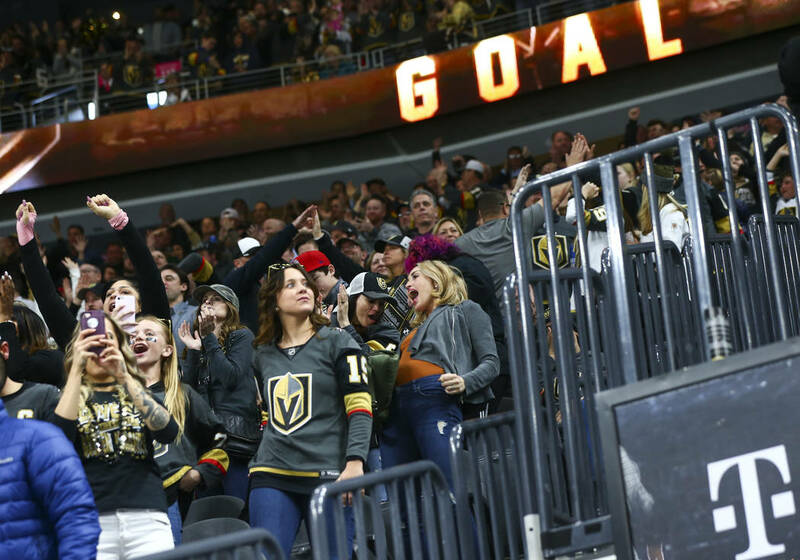 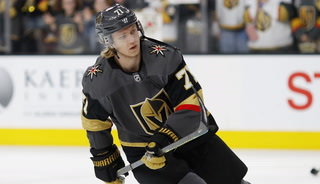 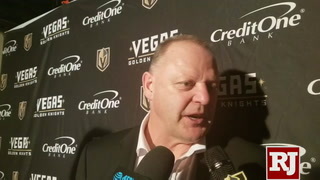 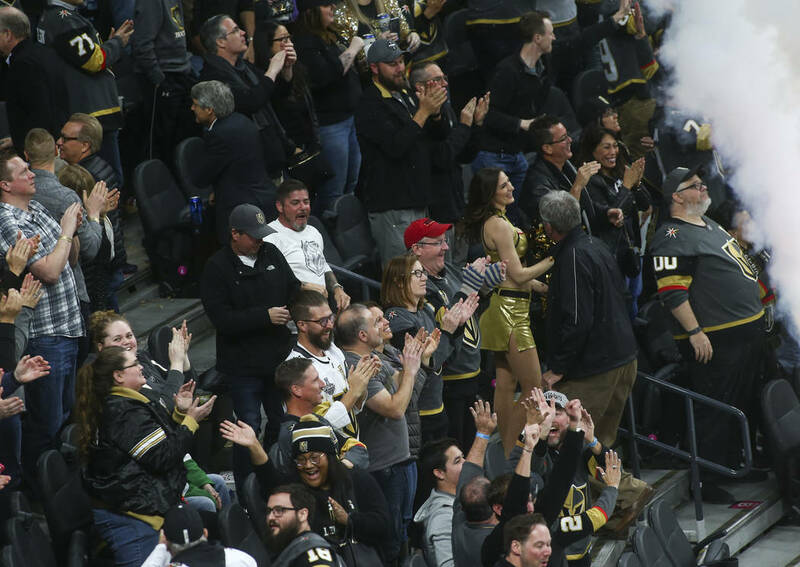 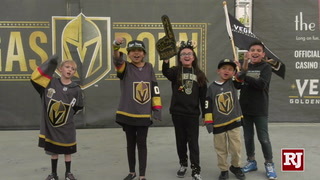 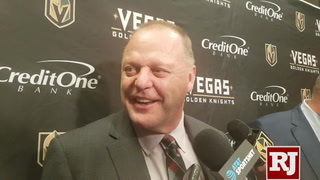 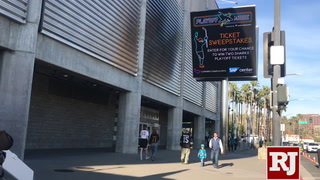 The Knights won for the second time in their past nine home games (2-6-1) and remained six points ahead of hard-charging Arizona for fourth place in the Pacific Division. 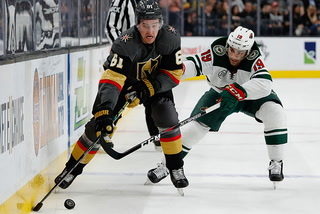 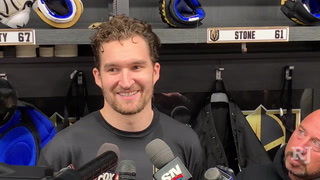 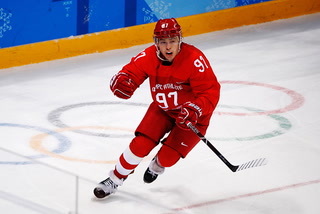 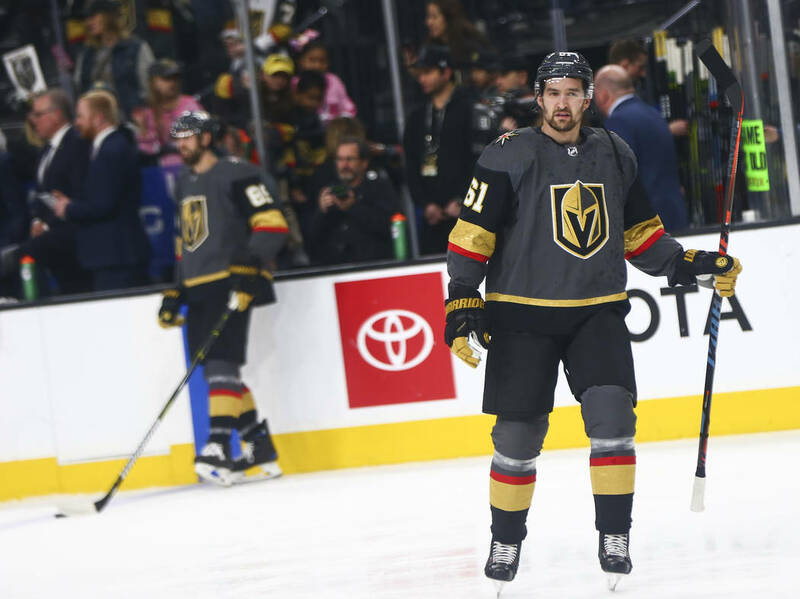 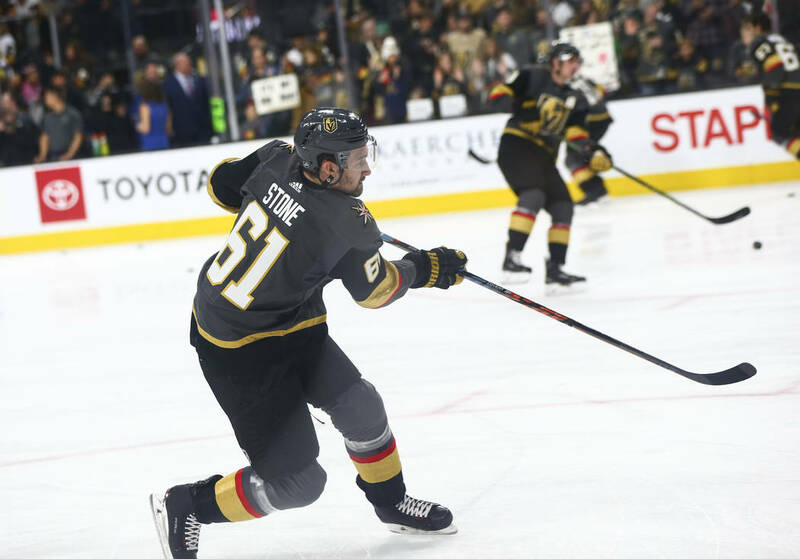 The debut of right wing Mark Stone, who was acquired at the trade deadline Monday for forward Oscar Lindberg, prospect Erik Brannstrom and a 2020 second-round pick, made for an electric atmosphere at T-Mobile Arena. 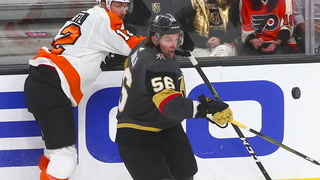 But the intensity was cranked up when Marchessault confronted Faksa after he bulldozed Fleury in the crease with 9:51 left in the first. 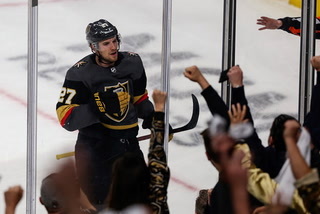 Marchessault cross-checked Faksa in the back and then wrestled him to the ice to the delight of the announced crowd of 18,261. 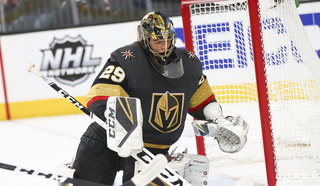 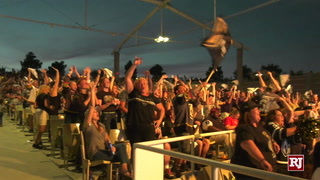 Fleury, who made his 100th appearance with Knights, finished with 23 saves to snap a personal five-game losing streak. 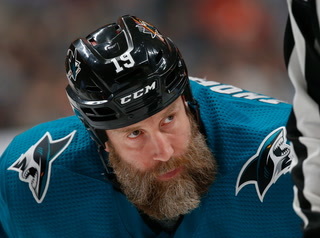 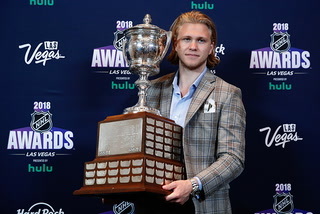 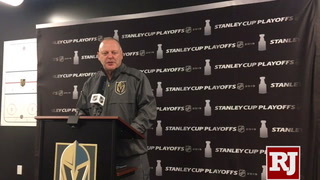 He became the fifth goaltender in NHL history with nine or more seasons with at least 30 wins. 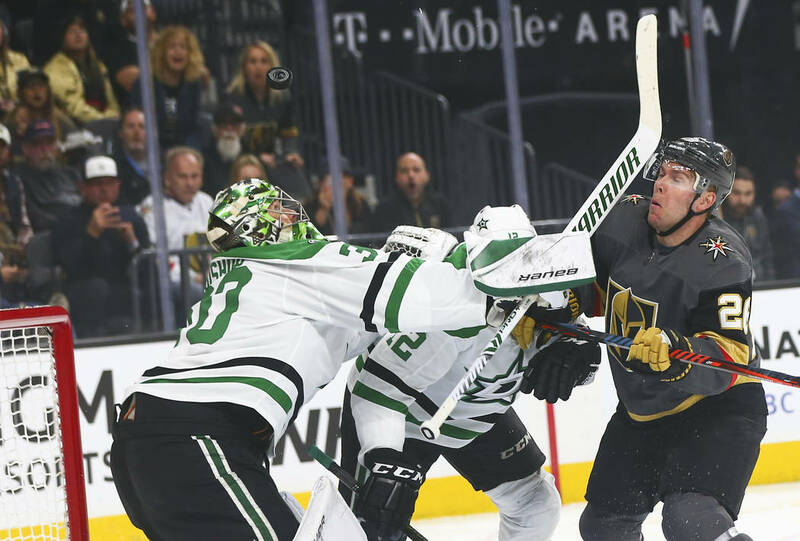 After being outscored 13-7 in the third period of their past seven games, the Knights outshot Dallas 21-1 in the final 20 minutes to pull away. 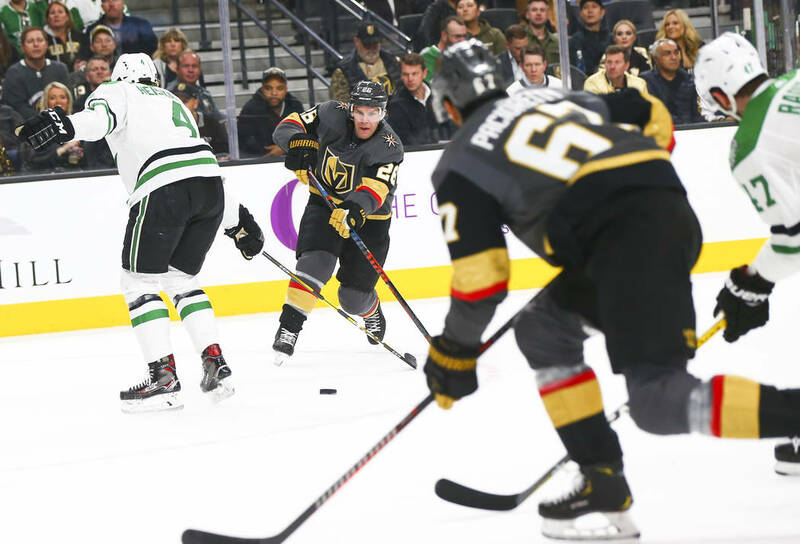 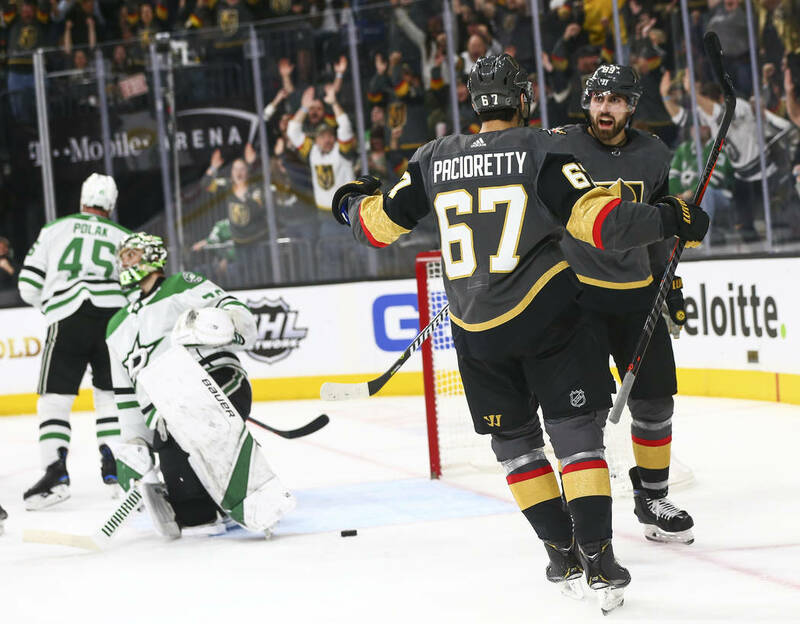 The Knights squandered a 5-on-3 advantage, but Pacioretty forced a turnover from Stars goaltender Ben Bishop (44 saves) and banked the puck off Tyler Seguin’s skate for the go-ahead goal. 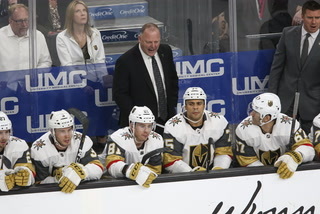 The Knights had difficulty solving the 6-7 Bishop until the second period when Pacioretty found room near the right faceoff dot on a power play. 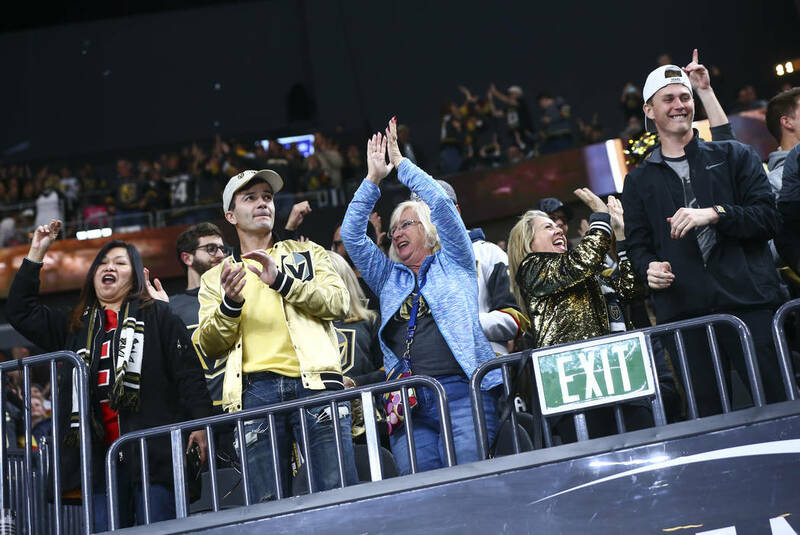 He zipped a shot over Bishop’s shoulder for his 19th goal to tie the score at 1-1 with 8:12 left in the period. 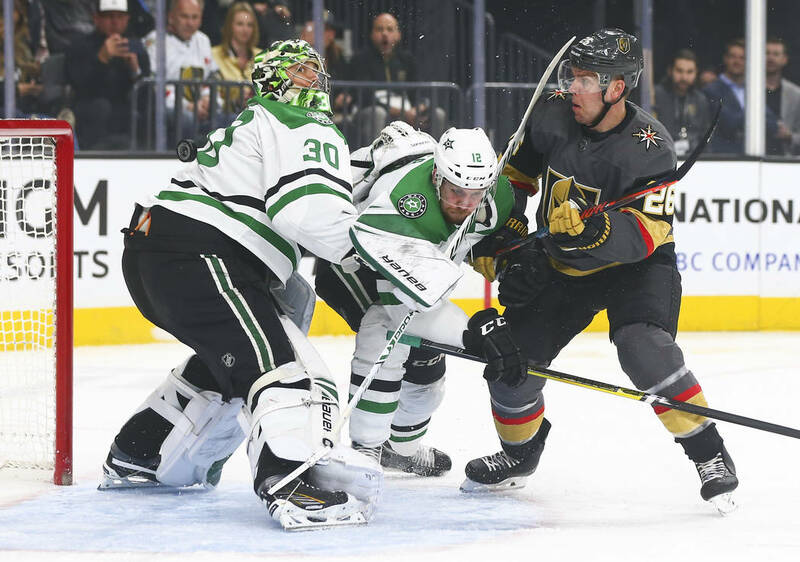 The Knights allowed the opening goal for the 10th time in their past 11 games when Marchessault was assessed an extra two minutes for his skirmish with Faksa and Dallas cashed in on the ensuing power play. 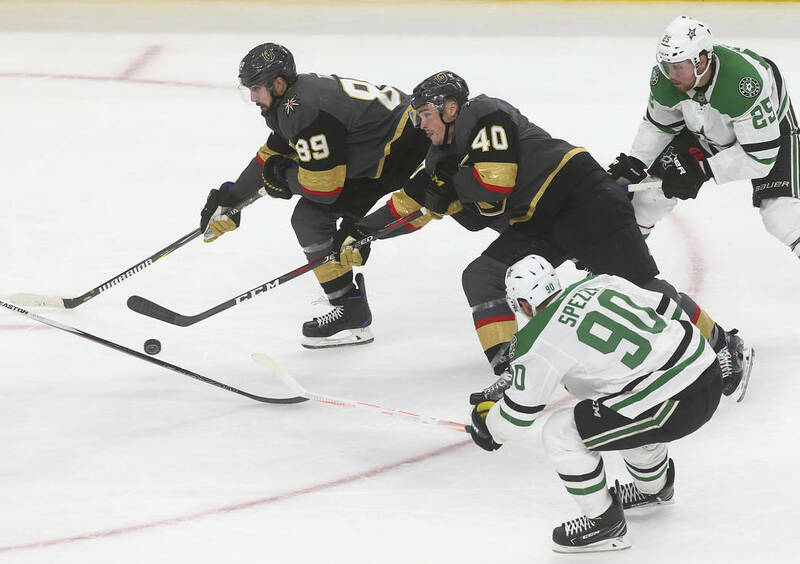 Left wing Roope Hintz pounced on a loose puck after a scramble in front of Fleury and put away his fourth goal at 11:13 of the first. 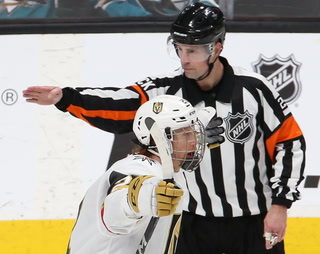 1 Angry Miller. 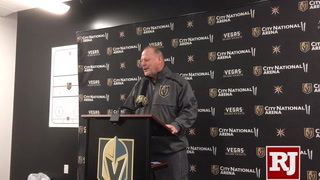 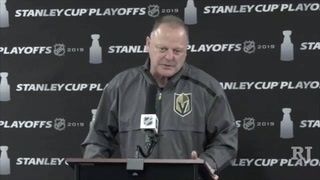 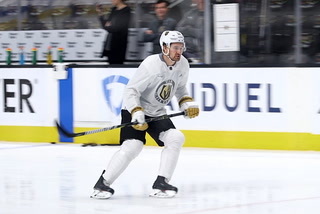 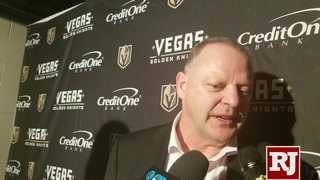 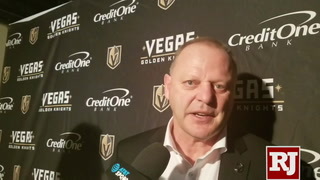 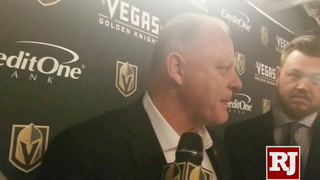 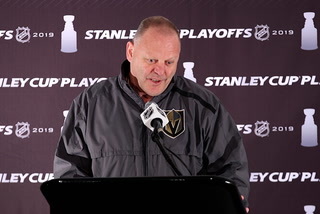 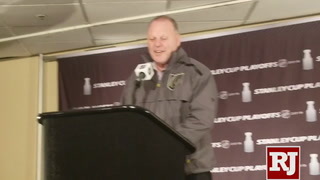 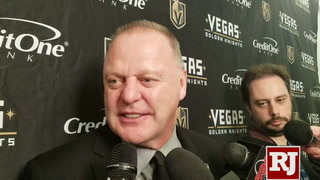 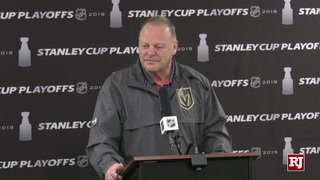 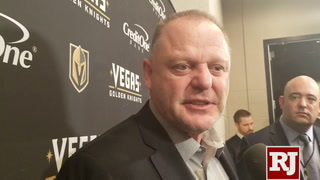 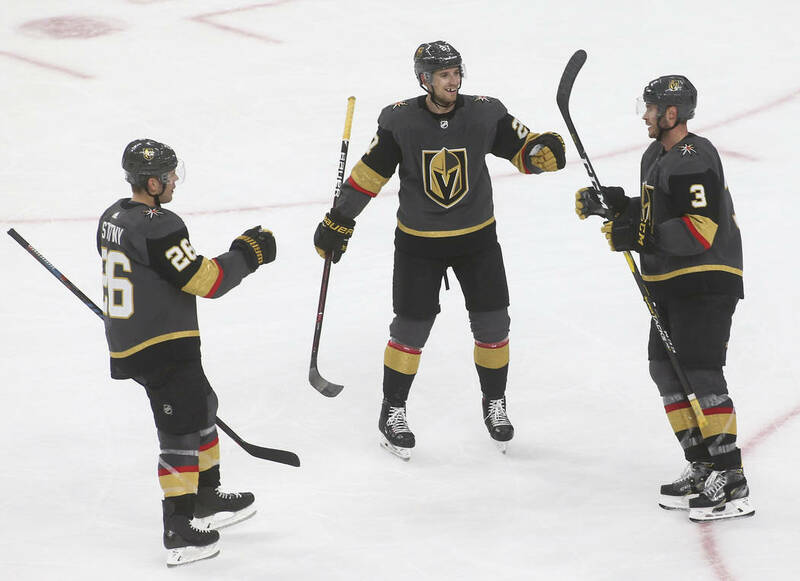 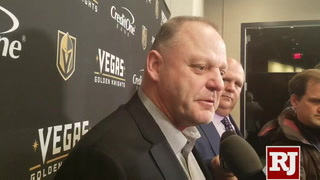 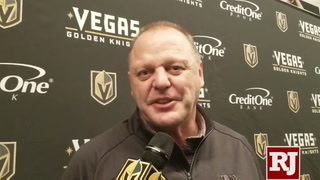 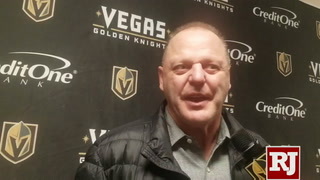 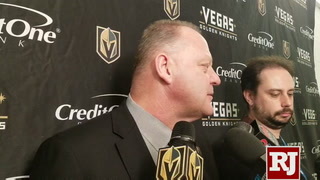 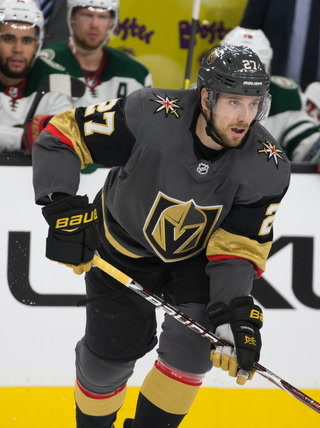 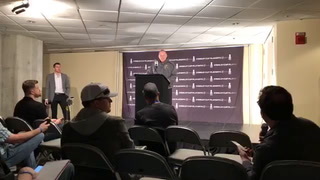 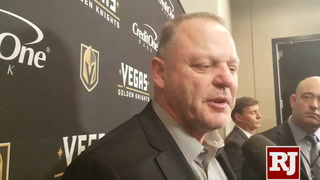 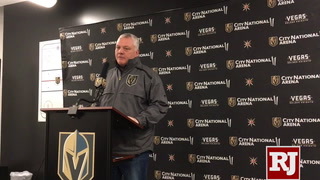 Defenseman Colin Miller returned to the Golden Knights’ lineup after being a healthy scratch the previous two games and clearly had a point to prove. 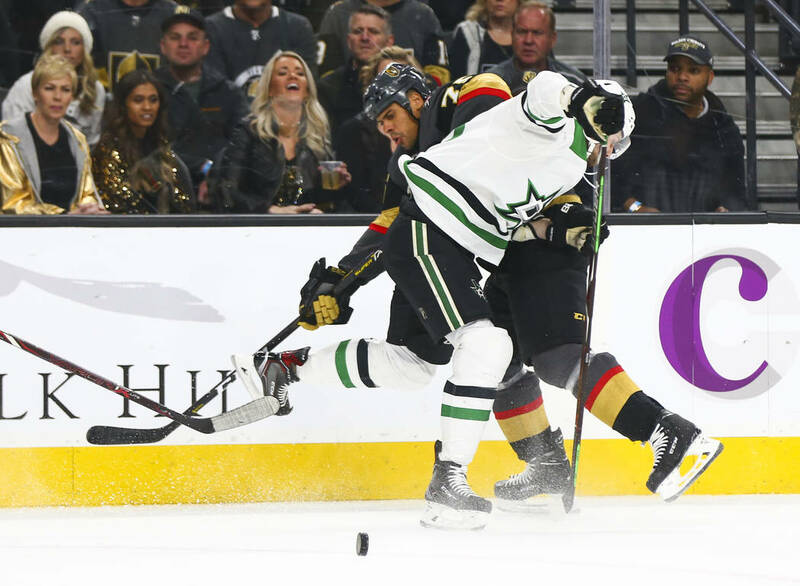 He launched a missile on his second shift that Dallas goaltender Ben Bishop gloved and finished with 11 shot attempts (four on goal) and tossed Valeri Nichushkin like a rag doll in the third period during his 16:43 of ice time. 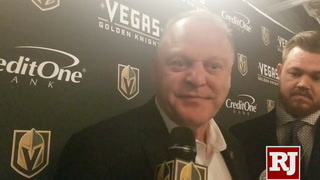 2 Shooting Stars. 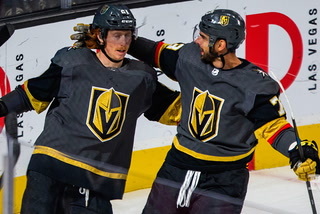 The Knights finished with a 48-24 advantage in shots on goal and allowed one shot in the final 23:04. 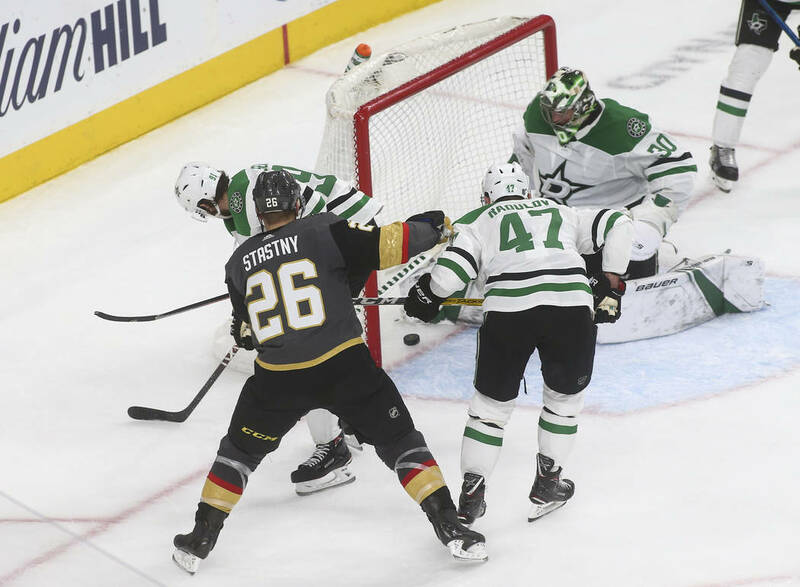 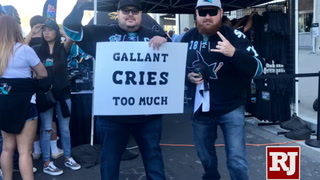 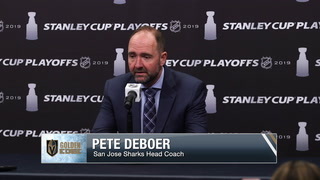 The only shot on goal by Dallas came on a 100-foot dump-in by defenseman Roman Polak with 8:57 remaining that Fleury easily steered into the corner. 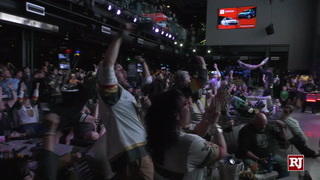 3 Ironman out. 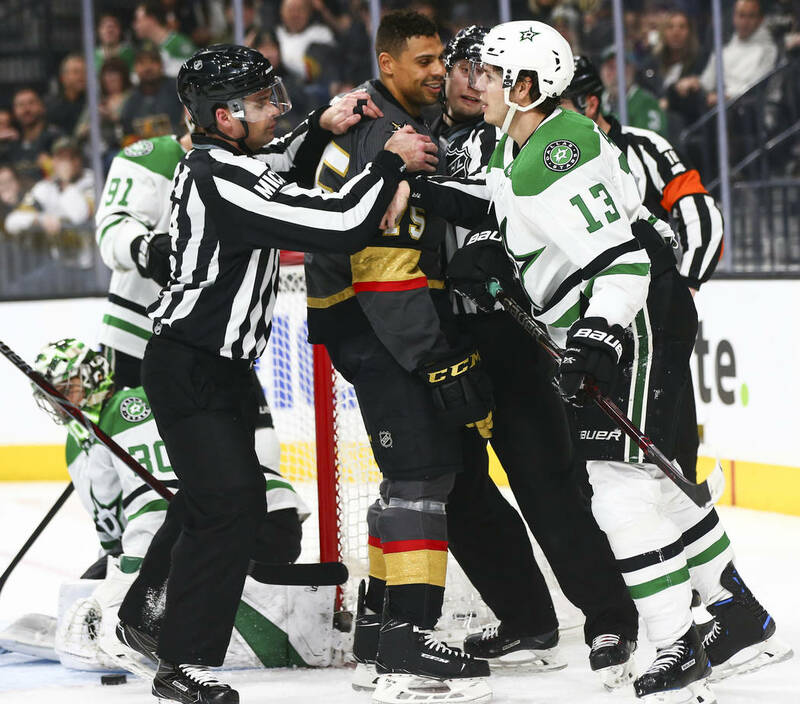 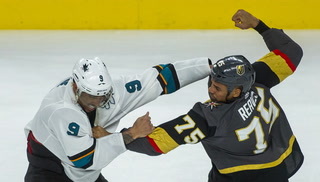 Dallas left wing Andrew Cogliano was on the receiving end of a heavy hit from Knights winger Ryan Reaves with a little more than six minutes left in the first period and went straight to the locker room. 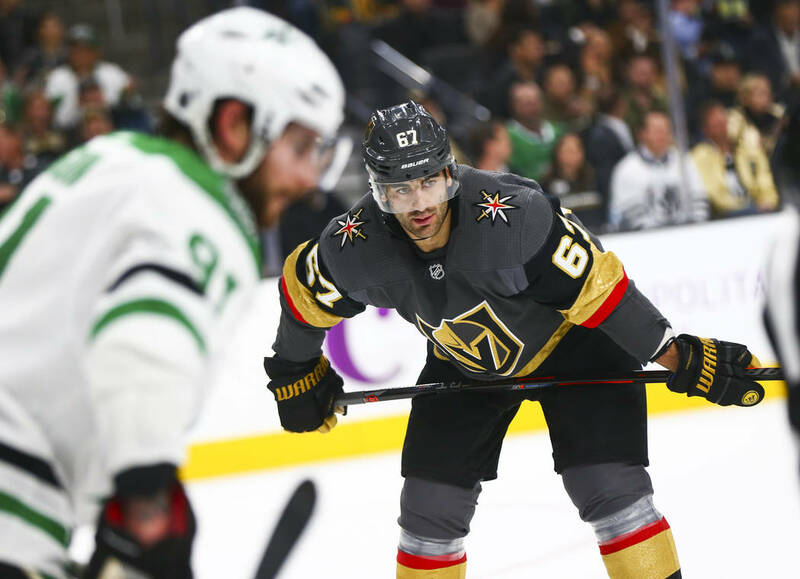 Cogliano played in 830 straight games to start his career before being suspended last season and hasn’t missed a game due to injury/illness in his career.